In a world that just doesn’t seem to get along, we are a lot more similar than we believe. At the end of the day, we are just people doing the best we know how with the resources we’ve been given. The bottom line is all humans want to be heard, to be loved, and to belong. When we REALLY think about it our lives are comprised of the same basic desires. Growing up I always believed I was “different,” like I imagine all of you did. The point is if everyone has contemplated being different, are we really different? It’s human nature to question our existence - it is the meaning of life to question the meaning of life. That is what it means to have consciousness. What makes us different is not our humanity, but our circumstances. Sadly, many of us believe we are our circumstances. Since all humans desire to BELONG, we begin to sort ourselves at an early age, and overtime we accrue labels: punk, preppy, rich, poor, stoner, queer, male, female, tall, short, school smart, street smart, and on and on. As we continue to develop a sense of self, we simultaneously create a sense of the other. Because if we are this, and someone else isn't than they are "different," but difference in circumstances, is not a difference in humanity. We are all still humans with the same basic desires. We create an other as an attempt to protect our beliefs, perspectives, and safety. I mean just think about it, when was the last time you said, “those people”? Saying “Those People,” is just a comparison. Blaming those people is just the BEGINNING and END of any conversation because it negates humanity. (Notice when it happens… It happened to me while writing this blog.) The more heated the national debate becomes the more I realize we all want the same thing; however, everyone comes to the conversation with their own beliefs and identities. Why do you believe that to be true? And, again, tell me more. What I’ve found is if I can practice the second and third agreements in difficult conversations, than most importantly, I maintain my dignity; secondly, whomever I’m speaking with isn’t on the defensive because I’m able to come from a place of curiosity. Also, when I ask a question, I try to actually hear what’s being said without interruption, or squeezing in my ideas. It’s actually really hard to listen. 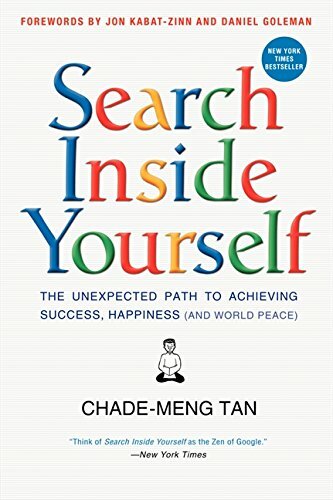 There are Mindful Listening and Communicating practices that will make this step a lot easier - I’d read Search Inside Yourself if you're interested in learning more about these tools. Someone has to be ready for the fourth agreement when it comes to questioning beliefs, and not all people are ready. I am an extremely open person, and I will engage in dialogue with anyone, as long as we are able to stick to the second and third agreements, but the minute there is defensiveness, then I know it’s time to step away. When there’s blame or judgement, it typically means a core belief has been questioned, and if someone isn’t ready to confront that belief, then there is no longer space for open discourse. Now, this is where the fourth agreement turns into action. It’s okay to unfriend someone. It’s okay to break up with someone. It’s okay to say no. 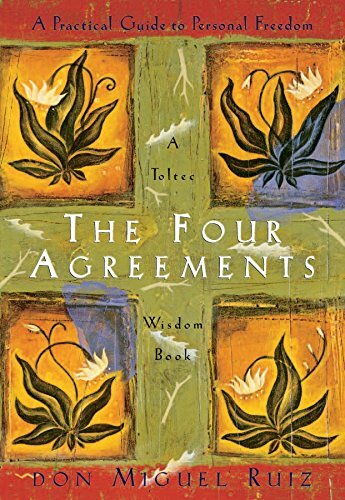 Often times when we’re in relationship with people, and they aren’t able to practice the fourth agreement, then our mind tells us we can “change” them. People only change when they are ready. If there are people infecting your life with hatred and judgment, then say no; they aren’t ready for you. Practice the first agreement, be impeccable with your word, and live your truth. If there are people, that write on your FaceBook page, only when they want to be the “devil’s advocate,” unfriend them because they aren’t your friend. When you’re dating someone that want’s you to be someone you’re not, then they aren’t ready to love you. Just remember it’s not about you, and keep living your best life! Haters gonna hate. However, as we walk through life, it might lessen our burden if we remember that all humans want to be heard, to be loved, and to belong. How many of you once held a belief that you no longer believe to be true? If you can change, then anyone can, right? When John Kerry ran for President, I remember his opponents called him a "flip-flopper" because he had changed his stance on several political issues during his tenure. Was this really a weakness? In 2001 only 35% of Americans thought gay marriage should be legal, now more than 65% of Americans believe in gay marriage rights, and it's legal. People are born to change, to evolve, to question, and to grow. In your own life, notice where you've been resisting change, and get curious. Why? All change starts with self. Just remember, no matter what, keep doing your best!